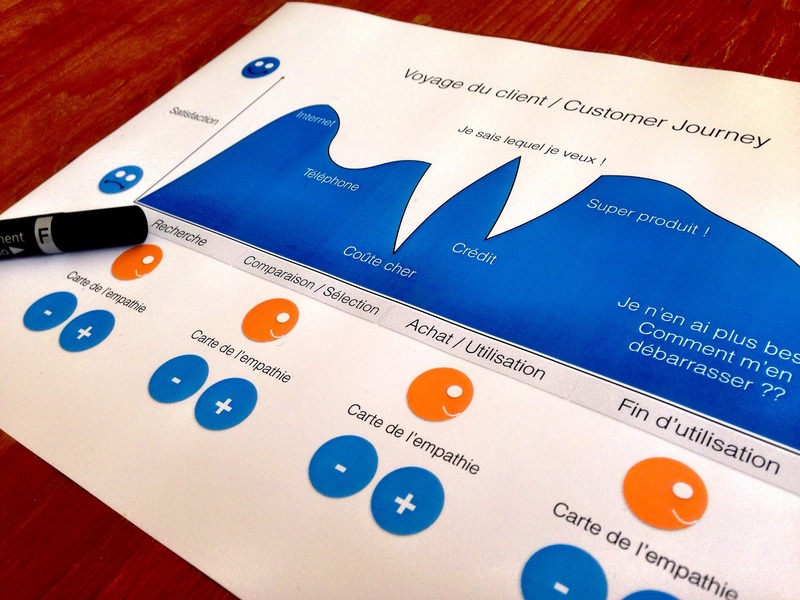 A Customer Journey Map (or CJM for short) is a visual representation of a customer’s experiences and perspective while attempting to achieve a goal. In essence, this asset serves as a graphical representation of a user’s: actions or “what they are doing”, the medium in which this is happening or “mobile, web, in-person”, what they are feeling “positive or negative emotions”, and their thoughts. By contextualizing these steps and interactions, UX professionals can better identify areas of opportunity and work towards improving users’ experiences. Together with the growing needs of better understanding and defining customers’ concerns, Key Lime Interactive has partnered with several clients to deliver a more lean and more actionable way of accumulating these insights, Presumptive CJMs. How are presumptive CJMs different? In the traditional sense, CJMs are typically developed by speaking with multiple users (usually somewhere between 8-12) and identifying common pain points along a defined use case. However, in many cases, access to customers and synthesizing this data has made it cost prohibitive for organizations to develop these assets. The alternative, Presumptive CJMs, offers product teams an opportunity to explore a user’s pain points in greater detail by documenting their interpretation of a user’s journey/pain points. The main difference between the traditional and presumptive approach is therefore how and when validation takes place. Let’s take a closer look at the methodology to see how this works. How can I build my own set of Presumptive CJMs? Reviewing existing primary data should always be your starting point on any CJM engagement. However, it plays an even more important role during the development of presumptive CJMs. Defining the use case or “goal” is essentially setting the driving force behind the journey —in other words, “what is the user trying to accomplish”. Insights from web analytics, transactional data, and prior research can provide a wealth of behavioral data on your customers and -together with business leaders- can paint a picture of the use cases worth focusing on. Once a use case has been developed -and well defined- it’s time to bring our user into the fold. In an ideal scenario, organizations would use behavioral personas to guide the decisions of the user throughout the journey. However, like traditional CJMs, personas can be costly to produce and are often created at a macro level providing little utility for ideating on specific solutions. If you don’t already have personas, we recommend developing presumptive personas (see the article on presumptive personas for more details) as well. It is important to recognize that although personas and CJMs are useful in their own regard when combined, they can provide product teams with incredibly powerful insights into how and why customers behave the way they do. In a more tactical sense, personas can serve as the reference point when attempting to understand how a user may react in a given scenario (throughout the CJM). With our use case and persona in hand, it’s time to plot out our customer’s journey. In comparison to traditional CJMs, where we have customers walk us through their own actions, internal stakeholders, product team members, customer support specialists, designers, and engineers are invited to take part in constructing the diagram. During this process, the emphasis is placed on collecting subject matter expertise from each individual in the room. Each contributor should use their knowledge and experience to document steps the user takes to complete their goal. In the absence of users, it is especially important that the facilitator keep things focused on the customer’s perspective. Statements like “ideally customers should go here to find X or Y” are detrimental when determining the actions a user would make. Instead, actions and decisions should be plotted based on behavioral trends, customer service reports, web-traffic, and in-field conversations with real users. Once your actions, emotions, people, and things have been plotted. It’s time to take a closer look at the inflection points within the journey. Where are users most in need of support? How well are we delivering in those instances? What can be done to provide a better experience? These questions will serve as the foundation for the ideation and solution phase. You can go as far as paper prototyping if you like! Ultimately, your goal should be to cross-pollinate subject matter expertise and create an actionable set of design hypothesis that focuses on the key moments of truth within the journey. Now, it’s time to validate! A quantitative study can be utilized to validate your use case, behavioral and attitudinal data, as well as moments of truth. This is the opportunity to change your presumptive statements into declarative facts by asking real users what they think. The benefits of conducting the validation phase last are two-fold. First, you can refine your questions to be tailored around the moments that are most relevant to you as a business and to your users. Second, you can leverage this survey to gain a preliminary understanding of your user's reactions to the solutions you’ve created. Given an unlimited budget and timeline, there undoubtedly are more rigorous ways of developing CJMs. However, as is the case with many organizations, there are often fewer opportunities to conduct purely exploratory research that can help illuminate areas to improve the customer’s experience. In those scenarios, a presumptive CJM (coupled with presumptive personas) can be a relatively cost-efficient and highly valuable alternative.